a new home. a new brand. welcome to all. The Currier Museum in Manchester, New Hampshire is an internationally renowned art museum that features a wide range of art forms, from European and American paintings, to decorative arts, photography and sculpture. Additionally, the Museum boasts the Frank Lloyd Wright Zimmerman House. 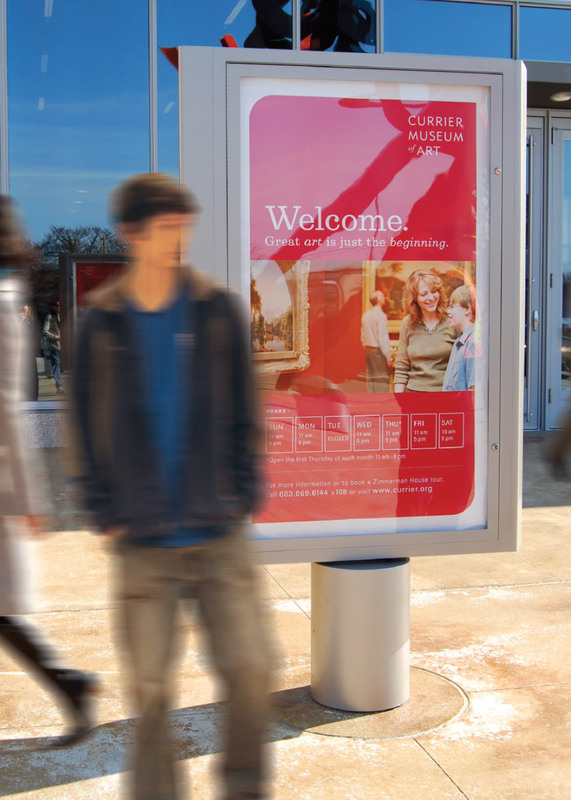 With a 33,000 square-foot expansion underway, the Currier was faced with an extraordinary opportunity to build excitement around their institution. To develop a new positioning strategy and brand identity that would spark interest, the Currier joined forces with Minelli. To deepen our understanding of the institutional vision, we immersed ourselves in the mindsets and motivations of current and potential museum audiences. It soon became clear that the Currier’s exceptional reputation among art enthusiasts was, on its own, not enough to meet the institution’s goals. 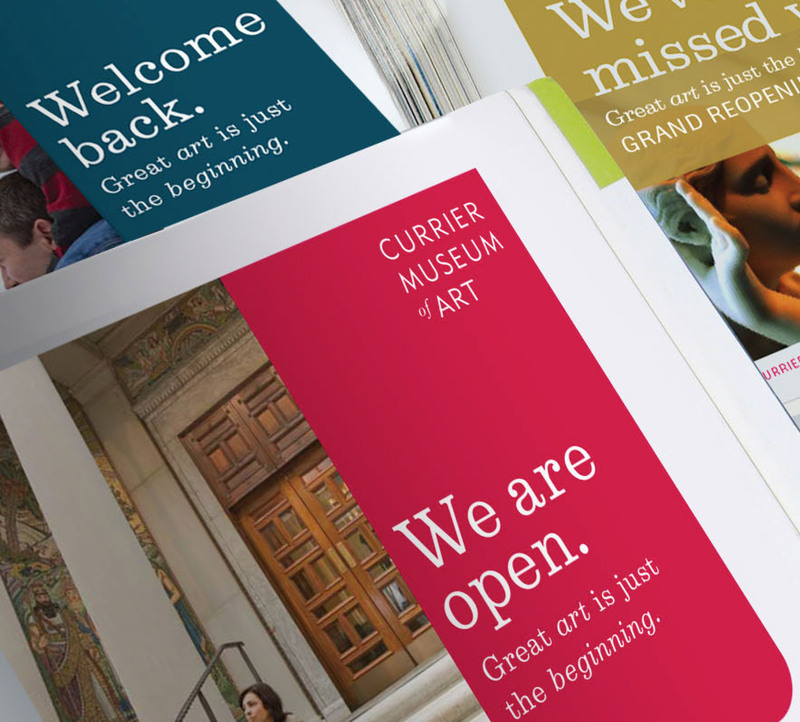 To elevate the Museum, Minelli developed a brand strategy that is transformative, open, spirited and entertaining. In addition to capturing and building upon the Currier’s unique qualities, the refreshed brand brings to life a bold new vision of creating human-centered experiences for people of all ages, cultures and backgrounds. 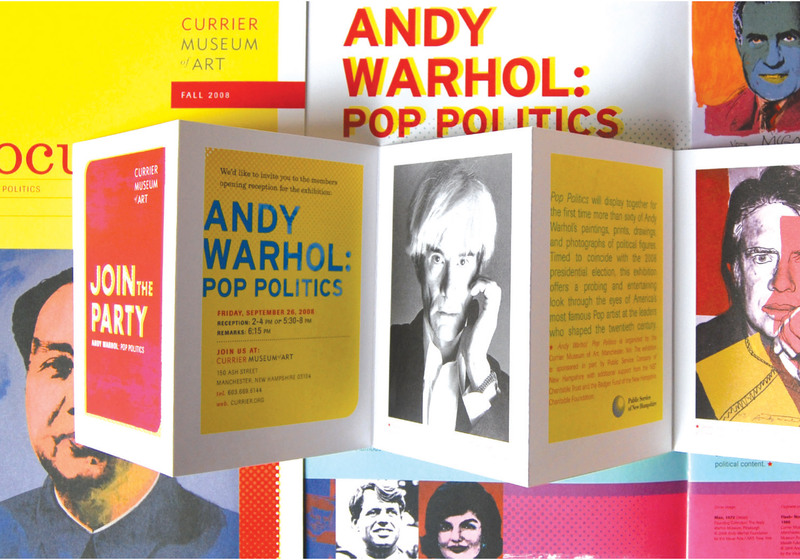 In March 2008, the Currier Museum of Art opened its doors to a stunning new setting that promises entirely new encounters with exceptional art. 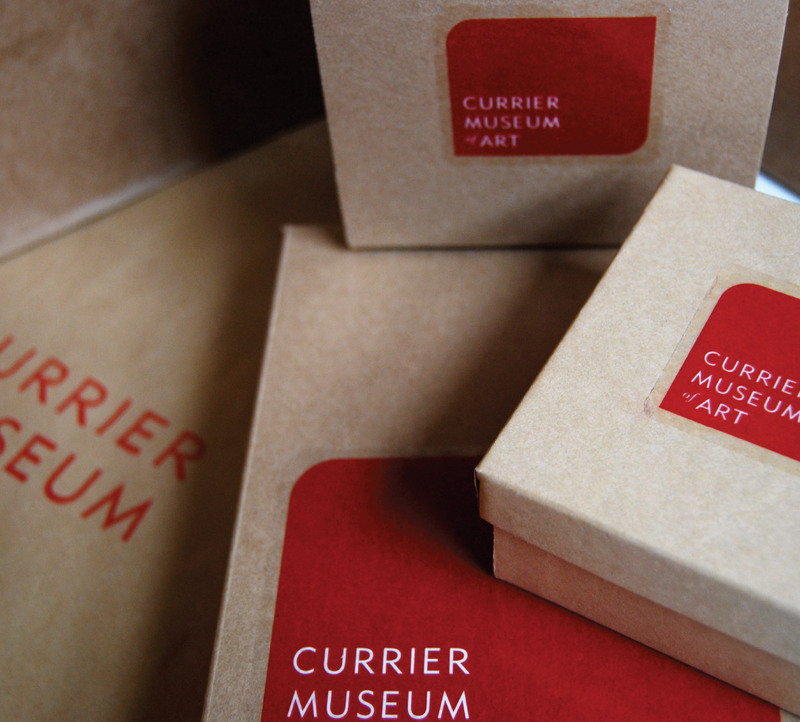 Strengthened by their new brand, the Currier is now well positioned to sustain the momentum created by its physical transformation and connect with new and existing audiences in more meaningful and lasting ways.